Choose outstanding LVT flooring from Ashley Flooring Ltd to treat your home. We’re expert floor fitters and suppliers, and this ensures that you receive the very best. This is a modern solution, recreating classic finishes without the hassle. For a flexible material that works for you, choose LVT flooring from our Surrey-based team. LVT flooring is a modern solution for any interior design and renovation projects. These tiles and planks are not only beautifully crafted, they are also strong, durable, and simple to maintain. The selection we have is wide and has many variations, allowing you to choose the perfect look for your personal tastes and style requirements. There are classic wood finishes, elegant stone touches, and even metal optics to satisfy the latest trends in the flooring market, as well as various types of installation systems. These are available with these vinyl floors, ranging from self-adhesive, click systems, and even loose lay and dry back. 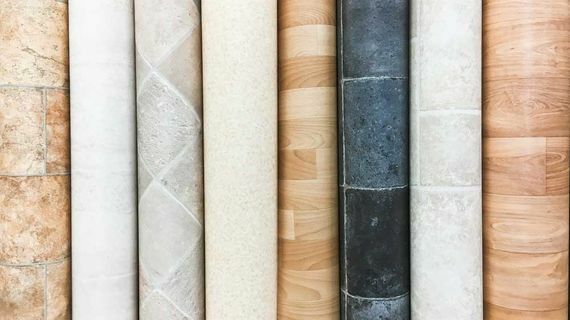 These different installation methods allow even more choice in finding the perfect flooring solution for your space and making it simple to achieve. The vinyl flooring creates a welcoming and comfortable environment just moments after it is installed. 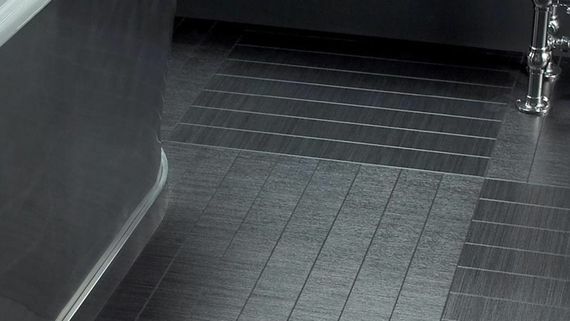 The flexibility of luxury vinyl flooring is one of the inherent characteristics, and this is part of what makes it such a resilient flooring option. LVT can be subjected to stress and wear, all while remaining in its original structure. With LVT flooring you do not need to fear instability or damage when wet. One of the main qualities of the laminated plastic covering is the great wear resistance, and it is resistant to scratches, cuts, and foot traffic. We offer a free, no-obligation measuring service to all. Either telephone us, or call into the shop to arrange for one of our experienced estimating staff to visit your home. By doing this you’re able to save time, energy, and money as you’ll get the measurements right first time. This allows you to simply order the exact amount you need. We'll accurately measure your rooms and tell you exactly what you need; avoiding costly over or under ordering. Should you decide to visit our showroom, we can often provide samples for you to take home to look at in your own surroundings and your own lighting. Take your time and enjoy the experience but remember we're also happy to bring the showroom to you, helping you make informed choices about your flooring requirements, all free of charge and without obligation. To organise your free survey, simply contact us. Insurance quotes are also welcome. When Ashley Flooring Ltd installs your new flooring, you’re assured of high-quality workmanship at all times. Our fitting teams are fully trained with years of floor laying experience and we’re confident fitting all types of flooring. To learn more about our LVT flooring and floor fitting services, CONTACT US, in Surrey.